To mark the one hundred year anniversary of the Representation of the People Act 1918, which gave some women the vote for the first time, South Shields Museum & Art Gallery created a programme of exhibitions about remarkable women connected to South Tyneside under the banner ‘Women 100’. 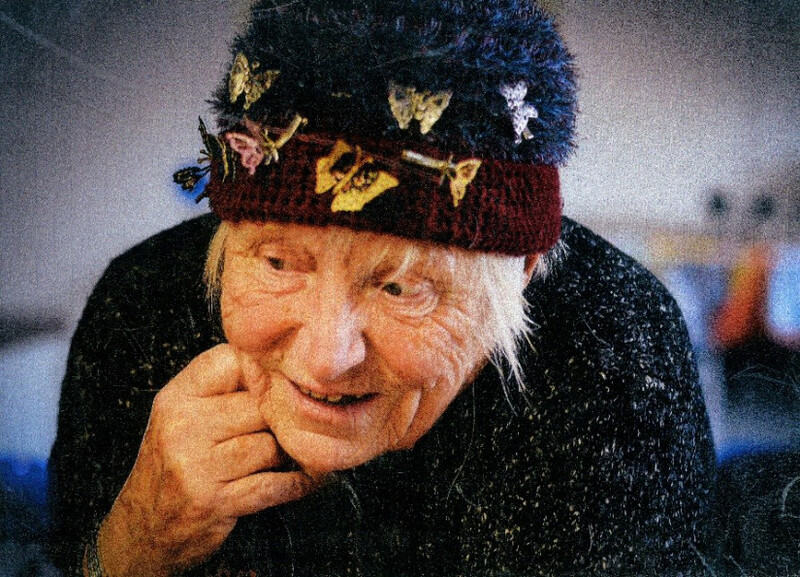 The first of these exhibitions focused on Anne Seymour, an extraordinary woman who spent her life tirelessly and selflessly helping others as a mission doctor, and who lived in South Shields from 1976. Born in Bromley in Kent, Anne trained as a doctor at the Royal Free Hospital School of Medicine, University of London. In 1959 Anne graduated, first working two pre-registration jobs in orthopaedics and fevers, before spending six months in general surgery at Leicester and another six months in casualty at Watford. “From my school days, I had known I had a call to work as a mission doctor and that this would be in Africa” – Anne Seymour. Following her calling to be a mission doctor in Africa, Anne took her skills and training to Biafra where she helped local people before, during and after the Nigerian Civil War. During this time she became a refugee, a terrifying and traumatic experience which undoubtedly greatly influenced the rest of her life. Only 26 when she first arrived in Biafra, Anne worked in a mission hospital performing operations beyond her usual expertise and experience due to a shortage of qualified doctors. She was not trained in complex surgical procedures and on occasions had to refer to a textbook for guidance while operating on patients. As the situation in Biafra grew more and more desperate, Anne travelled around the country on a bicycle, a Honda motorcycle or in a Volkswagen Beetle, providing urgent medical aid to local villagers. She even worked during air raids and severe shelling. Throughout the crisis Anne had several refugees living with her in her own home; she cared for them and shared her food supplies. It is estimated that up to three million people may have died during the conflict with more than two million dying due to starvation caused by blockades. During this time, Anne kept a hand written diary – a moving account of her life and work during a serious conflict where she witnessed terrible things and her life was often in danger. In 1969, international photographer Romano Cagnoni spent a day with Anne taking photographs as she worked. He described her as one of the most beautiful people he had ever met. “The last day at Isiukwator was a real nightmare. There were about four hundred people at the clinic and we had to choose forty to get midday meals at the “Feeding Centre” that Reverend Father was establishing. Being really firm we ended up with ninety six. Reasoning that forty servings would cover forty eight plates we divided them into two groups, one set to come on Mondays, Wednesdays and Fridays and the other set on Tuesdays, Thursdays and Saturdays. Some of the mothers stood in the sun for four hours to try to get a child or children on the list. In England mothers ask about school places but here it was: Was your child chosen to eat dinner?” – Biafran Missionary Doctor by Anne Seymour (1961-70) page 58-9. 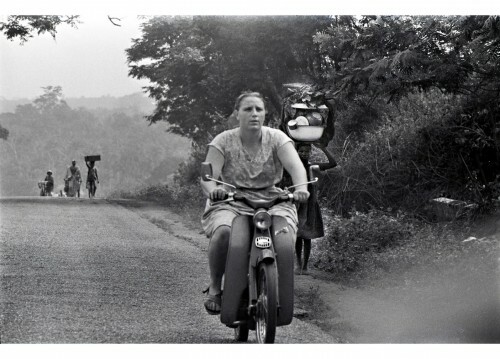 By 1970 the war was over and Anne, living in constant fear of being shot or detained, waited alone until the Nigerian Red Cross arrived so she could hand over her responsibilities and leave. “While I still maintain that we were morally justified in going to Biafra against the wishes of the Federal Government I never considered that entitled us to escape the legal consequences.” – Biafran Missionary Doctor by Anne Seymour (1961-70) page 119. Anne came to South Shields in 1976 to work as a consultant at the Ingham Infirmary. Many local people (including some of the staff at South Shields Museum & Art Gallery) remember her from this time as she ran the ER. Anne had a somewhat fearsome reputation. Having witnessed children starving and having operated on people suffering terrible injuries during the Nigerian Civil War, Anne could be blunt and dismissive of Ingham patient’s concerns if she felt they were minor by comparison. She was, however, well-respected and recognised as an excellent doctor, highly skilled at micro surgery and completely dedicated to her work. 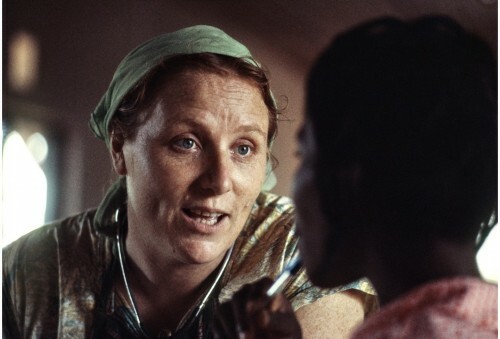 After 13 years, fed up with the NHS’s increasing bureaucracy, Anne left Ingham and returned to Africa to work as a consultant in Cameroon. Her new post was at SAJOCAH, a rehabilitation centre in Mambu, Bafut in the Central African country of Cameroon. The centre supports people, primarily children, with disabilities. She retired in 1996 and came home to South Shields, this time for good. In her retirement, Anne continued to help others by founding and working for various charities and church groups. She gave her time and skills selflessly to the local community and those less fortunate than herself. Having been a refugee herself, Anne was particularly concerned for refugees and asylum seekers. 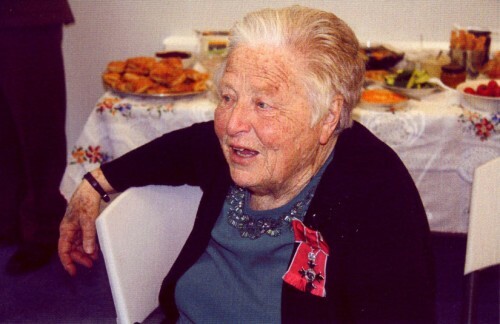 Her charity work was fully acknowledged during her lifetime and Anne received many awards and commendations, including an MBE. Anne was a very kind, compassionate and deeply practical person who would help anyone in real need, and indeed went out of her way to do so. There are many stories of her good deeds, from tending to people at their houses out of hours to driving patients home when they didn’t have anyone to collect them. Anne sadly passed away in 2016 at the age of 81 but she is not forgotten. Local women recently developed a banner with The Cultural Spring which commemorates 100 years since some women got the vote. Included on the banner was a photograph of Anne as many of the women had known her and were inspired by her story. They took the banner to Edinburgh on Sunday 10 June 2018 to take part in PROCESSIONS, a mass live art event which was broadcast live on BBC One. I took my son to Ingham infirmary 1984/85 was told by a doctor he would lose his eye.Miss Seymour came in .in her bullish but very profesional way and saved my sons eye.she didn’t suffer fools and didn’t show any sympathy she just got the job done.a fantastic Doctor.and reading some of her story greatly enhances my respect for her.R.I.P.Miss Seymour.